The Charles Sturt University (CSU) Australian Centre for Christianity and Culture (ACC&C) in Canberra will host an international conference on ageing and spirituality in late October 2019. Conference convener and Director for Colloquium for Ageing Perspectives and Spirituality (CAPS) Professor Bruce Stevens said the 8th International Conference on Ageing and Spirituality has an especially important context since the new Aged Quality and Safety Standards will take effect in Australia from July 2019. “That will be of great relevance to all denominations, social support organisations and professionals, including psychologists, social workers, nurses, researchers, lifestyle coordinators, and pastoral and spiritual care leaders,” Professor Stevens said. The conference will be held at Old Parliament House in Canberra from Monday 28 to Wednesday 30 October, with a pre-conference forum at the Australian Centre for Christianity and Culture on Sunday 27 October. “This conference will be of great interest to national and international delegates because Australia is at the forefront of addressing contemporary issues on ageing,” Professor Stevens said. “The conference theme, ‘Changing Cultures of Ageing and Spirituality’, will address changing cultures (defined in their broadest sense) in the 21st century, specific issues of later life, working with older people, and theological and ethical issues. “International speakers have been invited from Singapore, the USA, the UK and NZ. “We anticipate presentations from many different contexts which will broaden understanding of ‘changing cultures’, because we have much to learn from one another. “It is also particularly important to note that the interim report from the Royal Commission into Aged Care Quality and Safety is due to be made public on Thursday 31 October 2019, a day after the conference finishes, and the final report is due no later than Thursday 30 April 2020. Professor Stevens said the inaugural spirituality and ageing conference was convened by Professor Elizabeth Mackinlay in Canberra in January 2000. “The Colloquium for Ageing Perspectives and Spirituality (previously the Centre for Ageing and Pastoral Studies) is excited about the forthcoming 20th anniversary of the Ageing and Spirituality conference with its return to Canberra in 2019,” he said. “Now in its 8th iteration, the national and international profile of the conference has grown significantly. It attracts people from across the globe who are at the forefront of ageing and spirituality, an area that has only recently begun to be recognised as vital to the well-being and care of older people. “In particular, Australia’s new Aged Care Quality Standards which take effect in July 2019 highlight the importance of meeting spiritual needs such as meaning, purpose, identity, beliefs, and wellbeing. “These new standards - which will be highlighted at the conference - are a departure from existing standards where the main focus was on inputs of physical well-being and care. Contact CSU Media to arrange interviews with Professor Bruce Stevens who is based in Canberra. 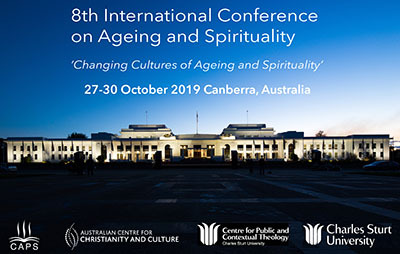 The 8th International Conference on Ageing and Spirituality will be held at Old Parliament House in Canberra from Monday 28 to Wednesday 30 October, with a pre-conference forum at the Australian Centre for Christianity and Culture on Sunday 27 October. 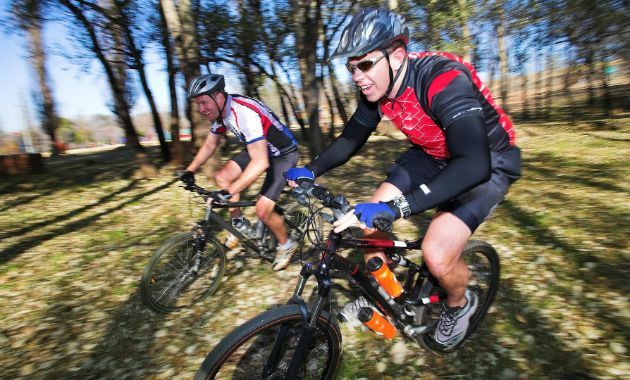 Early-bird registrations close Friday 31 May. Registrations close Monday 14 October.